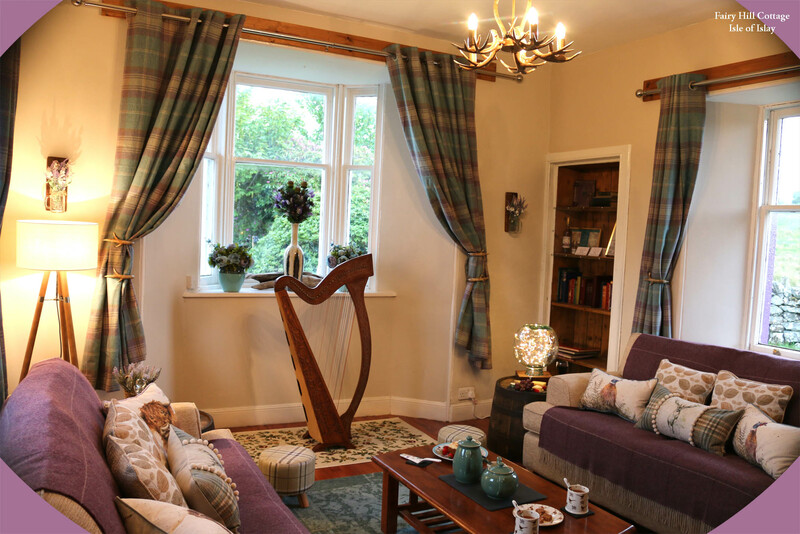 Fairy Hill Cottage aims to provide everything you might need to have an enjoyable and comfortable stay. The cottage sleeps up to four guests. Area: Beaches, Woodland and Kildalton Cross nearby. Learn the Celtic Harp - everything is provided for you to learn during your stay (please let us know in advance so that we can tune the harp). Pure, natural water from spring on the Fairy Hill (filtered) so no need for bottled water. Disabled Access: Fairy Hill Cottage is all on one floor with no stairs. There is a small step at the front door; if you require a ramp please let us know in advance.